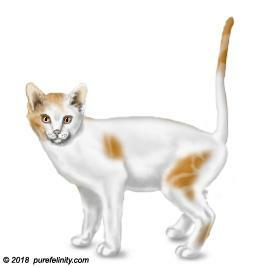 General: The Neapolitan was created in the hopes of a cat that would be most like a common found housecat. A cat that loves traversing the streets and keeps watch in their domain with a sharp eye, the Nea is a very playful and intelligent cat. Their round eyes are the most endearing trademark of the breed. Colors: Any colors or patterns except solid white.